Our Liberty Bell garden planter is a perfect egg shape with its wide opening at the top and a tapered base. 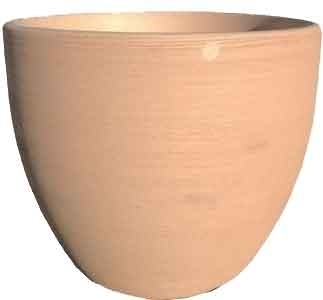 When you are looking for a nice tall garden planter that can handle a plant with a good root system without over crowing then this clay garden pot is the place to start. This style has been a best seller for years because it is so versatile. 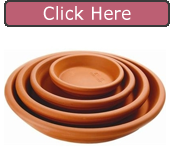 Made using a light terracotta clay this planter is perfect for indoor or outdoor use. The simplicity of the design assures it will go with any style of landscape decor. Fill with lots of flowers, bulbs, cactus, succulents or houseplants. *these Italian saucers are a slightly darker clay.